I've just returned from a week-long quilting workshop in Sisters, Oregon - my absolutely most favorite place on earth. For the past four years, I've made this annual May trek to Sisters and have returned, over-flowing with ideas and inspiration for any number of quilty mixed-media artistic endeavors. I think this year's workshop filled me with over-the-top inspiration because we went beyond just intuitively stitching bits and pieces of fabric together to make an art quilt. We also learned about and played with a variety of techniques for making marks on fabric, for example: using stencils with oil pastels to printing using the Gelli Plate to carving stamps for stamping to making shibori, just to name a few of the techniques we tried. Along the way, we discovered new techniques that appealed to us and proceeded to engage us in more in-depth exploration. We made mistakes...and that was A-OK! I think that workshops are truly one of the best ways to be inspired and The Queen's Ink is one of the best local resources for inspirational, creative mixed-media art workshops. Through them, we're provided with the opportunity to flex our creative muscles, to make mistakes and learn not only how to do a technique but also, what appeals to us, what gets our creative juices flowing. 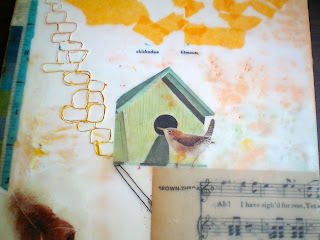 A workshop gives us a chance to try out a technique without making a full-blown investment of materials and supplies. 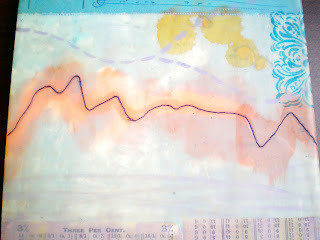 One such technique that comes to mind is encaustic- the new (ahem, an art form that has been traced back to ancient Greeks) art medium that has taken the creative art community, all branches, by storm. Have you toyed with the idea of doing a piece of encaustic art? 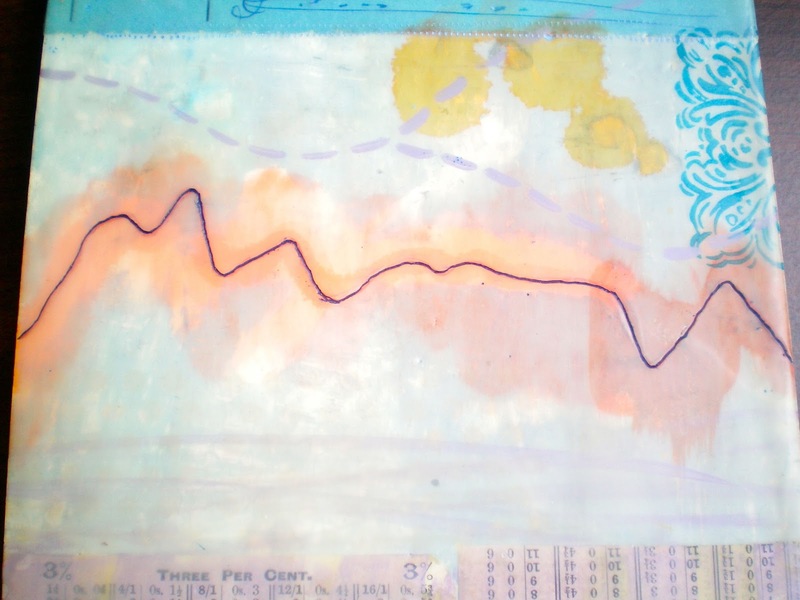 Well, now's your chance: Guest Artist Jess Greene is coming to The Queen's Ink the weekend of June 21 - 23 for an in-depth exploration of encaustic. Jess was so intrigued with the medium that "she quit her day job as a teacher and spent a month-long residency in Spain in 2011to paint in encaustic." Go here to read a guest post, written by Jess, that highlights her love for the medium. Looking at these photos, one cannot tell they are encaustic pieces...but, in real life, they are not only intriguing but also,very textural. Treat yourself to learning and experiencing a new medium without having to make a trip to Spain (though that doesn't seem like such a bad option - smile)... check out the class descriptions and give the shop a call! Hurry, 'cause classes fill up f-a-s-t!